Phenomenon of shared economy brought to life multiple Uber-like startups that operate globally and try to win over various markets. Many of these startups - just like Uber themselves – represent a new model of business that we call platform. Platfroms have enormous potential for growth and fast development, but their development requires a different approach than the one usually taken by a traditional business model. What is so different about business model of the platforms? Instead of having multiple user roles, platforms only have two major roles for their users: producers (who use the platform to create value) and consumers (who consume the value that is created on the platform). Platform itself provides the infrastructure for creating and consuming value. The users exchange currency on the platform while they are creating and consuming value. How can we build a successful interaction-first marketplace, using what we know about platforms? Platform are different from traditional businesses because they often eliminate a role of “gatekeeper”, allowing producers access to potential consumers. Platforms like Amazon Kindle Publishing or YouTube disrupted the traditional interaction between businesses since they let their producers to have direct access to a market of consumers. The same principle applies to peer-to-peer marketplaces. eBay, for example, created a seemingly endless listing of products by lowering the access barier. People who have never dreamed about becoming an entepreneur or a business owner can sell on eBay, creating a $60-billion net value for the platform. Traditional businesses have often struggled to optimize their resources, labor force and supply-demand balance. Taditional brick-and-mortar marketplace is a complex system of interactions, from sourcing the best materials to optimizing the assembly lines and sales department. Platforms don’t necessarily need investment in physical assets or infrastructure, that’s why optimizing experience for all participants of the platform is easier and in general more straighforward. Optimizing experience for users on a platform starts with defining which set of tools producers and consumers need to create value on this platform. For example, let’s take an online publishing service where producers actually create content (e-books) and consumers buy and read them online. In this case, the producer has to have a full toolkit that helps with document preparation, editing and distribution. Such tasks as large amount of editing and preparation for publishing are better performed on a laptop or other big screen device, so the producer’s tools have to be optimized for biger screens. At the same time, consumer might opt for reading from a tablet or even a smartphone, so their user experience has to be optimized for a different set of devices. To make sure that users keep coming back to your platform, you need to give them an opportunity to easily repeat a set of actions that creates value. Depending on a type of the platform ensuring repeatability may be connected to dealing with how easy it is to create, curate and consume value on the platform. Working on each of these three aspects has its own strategy and tips. If you need to stimulate producers to repeatedly create value on your platform, you should think about providing them with tools that they can use on your platform or a community that is build around your platform. 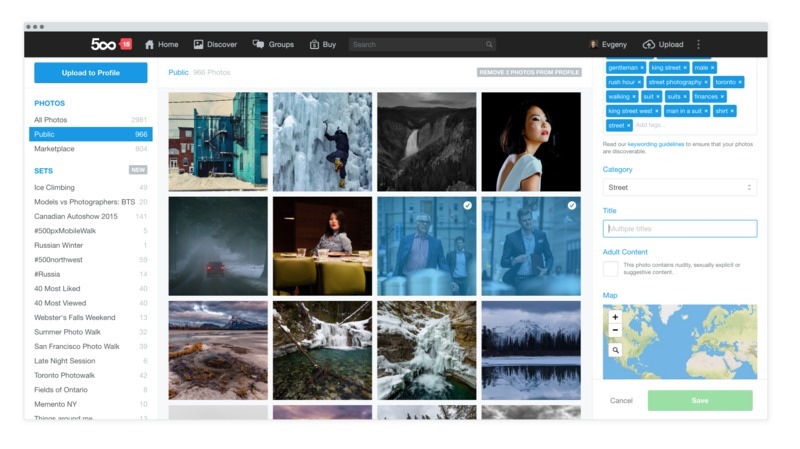 500px is a good example of a platform that gives producers access to community where they can get their photographs licensed, rated and even make money by selling their best shots. Dribbble is another example of platform which incentivizes producers to create value by giving designers access to professional community that provides valuable feedback and lets producers build their portfolio which might lead to a new job offer or exciting project. If ensuring repeatability means working on curation of the content that is created on your platform, it is a good idea to pick out curation strategies. You can opt for manual curation, where a team of admins is responsible for the quality of content and security of your community. Another approach would mean relying on computer algorithms – for example, Facebook at its early stages positioned themselves as a social platform for students of certain universtities, so to create an account first Facebook users actually had to have an email address, associated with those universties. The last alternative method of curating the content relies on the social feedback from the members of the platform. Platforms like HackerNews have relied on upvotes from other members of the community that form user’s “karma” on the platform. Having better karma means better reputation among other members of the platform and better access to the platform. The biggest problem with monetization for digital marketplaces is that in order to succeed they need to make sure that the transaction between sellers and buyers can only happen within the platform. Traditional marketplaces don’t have to worry about that as much – they get revenue from renting marketstalls, for instance. For digital marketplaces there are only two major strategies of getting revenue: monetization through data mining or fees that buyers are charged to use the platform infrastructure. Big data as a source of revenue is more likely in freemium models of marketplaces. Whereas small fees for listings or transaction itself can apply to marketplaces of various sizes. Monetization model of different marketplace platforms often changes over time: for instance, when Etsy just appeared, listing items was free, buyers only had to pay a really small transaction fee when the item was sold. But now it’s $0.20 to list one item plus 3.5 percent transaction fee. Marketplaces that trade services and not physical goods often have even bigger problem with making the transaction happening on the platform. One way to overcome the problem is to limit consumer’s ability to contact the producer directly. These marketplaces give consumers all the information they need to make a decision about the purchase without contacting the seller: for example, the marketplace withholds the seller’s email from the buyer. This way the buyer can’t get in touch with the seller beyond the marketplace. Another approach to securing the transaction on the platform is to charge the buyer ahead of time, and only transfer the money to the seller after the transction is complete. This motivates sellers (poduces) to actively engage in transactions. 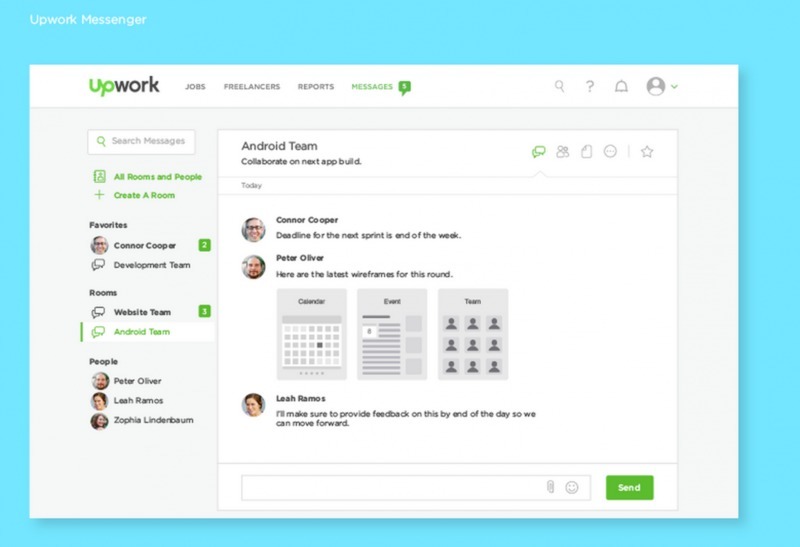 Upwork – former Elance, a freelance platform – is one of the service platforms that focuses on providing useful tools (work-tracking and billing software) that both producers and consumers can use on the platform. This creates enough value so that neither the freelance specialist not their client are motivated to leave the platform. Platforms that are launched successfully enable interactions between producers and consumers, but only platforms that have room for growth can stay successful over time. Scaling means that over time a platform increases the quantity of interactions and improves their quality. Make sure there is a balance between the supply and the demand on the platform so the number of consumers is big enough to motivate producers to keep creating value. Gather information about your users so that you could offer them new tools or new opportunities on the platform. Some platforms significantly change their nature over time. Very often marketplaces start with one business model, and then have to completely change it. That’s what happened to TaskRibbit. TaskRabbit started as a marketplace where users had to bid for a task, but it mostly attacted blue-collar workers like house cleaners and handymen who would prefer working by hourly rates. TaskRabbit founders saw that peer-to-peer marketplaces could achieve better growth, and adjusted their business model accordingly. After many iterations, that led the company to create its new model, which uses algorithms to instantly match clients with a selection of taskers. This change resulted in increased number of completed tasks and overall increase in the number of clients. Knowing your user base is valuable for the marketplace as well, as it helps the platform to optimize what services they offer. Data mining and thorough studying of users’ interests can help you with scaling the size of your platform and number of interactions, but what about the quality? Truly successful platforms do not just lure people in for a single-time transaction, they create environment that is safe and exciting that people want to go back to. Curating and controlling the quality of interactions on the platform is not easy: you need to balance strict user rules with enough freedom so that users will still be encouraged enough to stay on the platform. We already talked about different ways of curating the content on the platform, but there is another consideration that is very important too: sometimes you can’t prevent certain risks, and if stakes are too high, the platform needs to be insured. How high risks for participants are will purely depend on your platform nature. For instance, exchanging text messages is not a big deal and won’t likely have serious consequences (unless you’re an American politician who decided to use their own server to do so! ), but renting out rooms to strangers will clearly involve more risks. Most big sharing economy platforms like AirBnb and Uber offer insurances to their users. Marketplaces can also protect their users by providing insurance: Etsy has both domestic and international insurance for their goods. Ebay provides shipment insurance as well - through the postal service insurance or separatly. Investing in insurance policies will make your marketplace much more desirable and trustworthy for both producers and consumers. No doubt that we will see a rise of new platforms-marketplaces over the course of the next few years. To compete on this market one needs to have a good understanding of what distinguishes them from the traditional business model, and how to scale the platform in the most efficient way.